The art and design major is consistently among the university's largest and incorporates concentrations in graphic design, interior design and graphic arts. 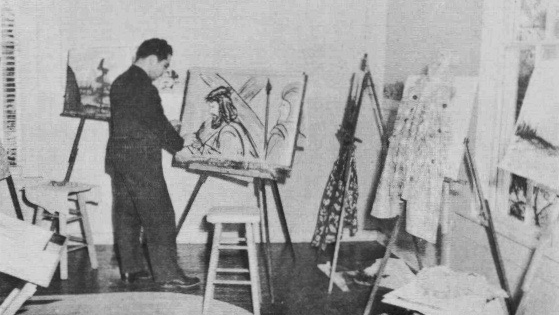 A 1947 Pacific College art class focused on chalk drawings. 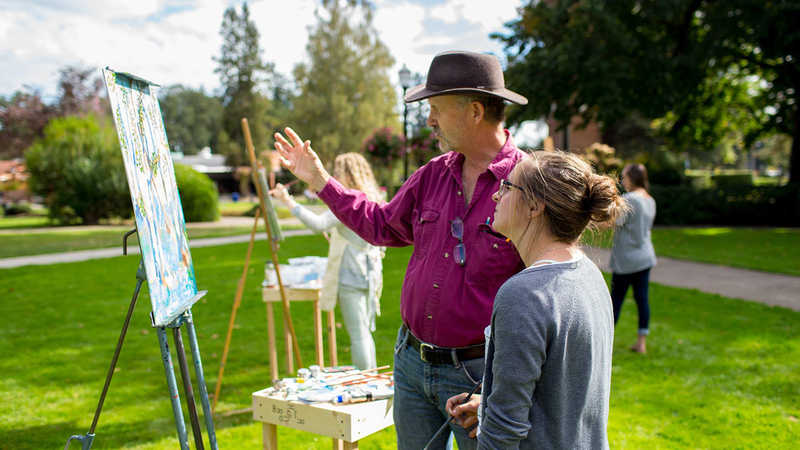 Professor Gary Buhler instructs student Sarah Harrison in the quad in 2015. The department offers instruction in painting, printmaking, ceramics, photography, design, digital art and many other media. The majority of pieces are displayed in the university's two galleries: the Lindgren Gallery adjacent to Bauman Auditorium and the Minthorne Gallery in the Hoover Academic Building.